More and more patients living well with diabetes are teaching and supporting other patients by sharing their wealth of knowledge and experiences. 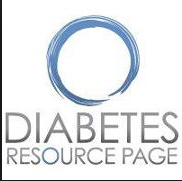 Here are lists of trusted diabetes web sites, social media sites, blogs, books and information about the A1C Champions peer-mentor program I participate in. If you’re a medical professional and work with people who have diabetes, you can request one of these six free, hour long educational programs for your patients. Each program is presented by someone living successfully with diabetes. To request a program, please visit www.vprpop.com or call: 816-756-5999. If you have diabetes and would like to become an A1C Champion, please contact the website or call the number above. I’ve been an A1C Champion since 2006 and love going out and helping others with diabetes learn, grow and gain the confidence to do better. Many A1C Champions say being in the program keeps them more committed to their own health. Fellow Champion, Doreen, says, “When I share my story people open up their lives to me, wanting to talk and share their challenges about diabetes. I can’t imagine doing something more rewarding.